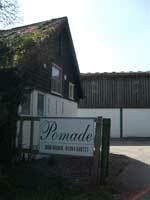 Situated in the picturesque village of Grateley, near Andover, Pomade Hair Design is a unisex hairdressing & nail salon catering for customers of all ages, tastes and styles. Whatever your hair dressing needs the experienced and friendly staff at Pomade will be able to provide an unrivalled degree of service and care. Pomade provides a relaxed and friendly environment for you to discuss your hair & nail requirements, everything from simple cuts through re-style and re-colouring to wedding and special occasion hair. The salon is not tied to the products of any one manufacturer; we select the best product that is right for the client based on personal experience. 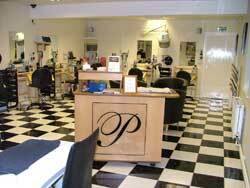 Pomade is also a registered Calgel manicure centre. Calgel is the semi-permanent gel that can be applied over natural nails or extended tips. It adds strength to the nail, is long lasting and chip free and can be removed quickly without damage to the nail. With its free parking at the salon, proximity to the village shop and post office, and the benefit of the charming countryside environment Pomade Hair Design is a truly relaxing experience which sees our clients leave feeling great and return for more of the same.